The Charity’s Aim: To promote the advancement and spreading within the Service of knowledge relevant to the higher aspects of the Naval Profession. The Naval Review is a wholly independent professional journal funded as a charity by members’ subscriptions. From its genesis in 1912, The Naval Review’s independence has required a privileged ‘special relationship’ with the Naval Service, hitherto enshrined in Queen’s Regulations, that continues to permit serving personnel to submit articles for publication, direct to the Editor, without prior scrutiny or approval by that individual’s chain of command. Additionally, in promoting healthy discourse, contributors are encouraged to challenge accepted norms and offer novel conclusions. Accordingly, the views expressed in the journal are wholly those of the individual authors that may well diverge from, and should not be considered as reflecting those of, the Naval Service, the Ministry of Defence, Her Majesty’s Government or any organisation the author might declare association with. In order to encourage freedom of discussion and criticism, and ensure that diffidence arising from lack of seniority or inexperience of writing for publication shall not discourage participation in them, original contributions may be anonymous, the identity of the writers being known only to the Editor – unless they themselves elect to append their names or initials. However, all should note that identities may be revealed, at the Editor’s discretion, to bona-fide historians and researchers either subsequent to the death of an author, if an author specifically permits such identification or after the elapse of 30 years from the time of first publication of their article. For the same reason, and also in order that the freedom of discussion provided by The Naval Review shall not constitute a contravention of Service policy concerning contributions to the public Press, it is necessary to confine the circulation of The Naval Review to its members. The Naval Review is issued quarterly, only sufficient copies being printed for circulation to members – an electronic, fully researchable, version will be added to The Naval Review on-line archive. A guide to writing for The Naval Review will be periodically published separately in the journal and posted on the Review’s web-site. Each edition of the journal will promulgate the dates by which articles and correspondence should be submitted in the year ahead. In submitting material, authors grant The Naval Review an automatic and simultaneous, royalty-free, perpetual, non-exclusive, irrevocable, fully sub-licensable and transferable licence to use, record, sell, lease, reproduce, create derivative work from, alter, change and otherwise exploit, the content in whole or in part. Although responsibility for what is published in The Naval Review rests with the Editor, in submitting material authors also implicitly vouch for their compliance with the law in respect of copyright, security, libel, obscenity, all forms of discrimination, and sedition. All published material, unless otherwise stated, remains the copyright of The Naval Review. No part of this publication, or associated website, may be reproduced or transmitted in any form or by any means, electronic or mechanical (including photocopying, recording or by any information storage or retrieval system), without prior permission from the Editor in writing. Noting its charitable status as a journal sustained only by membership subscription, The Naval Review makes no payment for contributions but might, by exception, consider specific costs of research, production or postage if necessary to promote members’ interests. Access to the on-line Naval Review archive is unrestricted to all individual, but not corporate, members. Time limited access to the archive is open to researchers and historians after 10 years from an article’s original publishing date for a small administration charge. In addition, at that 10-year point, the above request, to restrict access to the printed journal to those eligible members, lapses and, if desired, such old issues might be sold or donated as a member sees fit.  The following are eligible for membership: officers and ratings, active, reservist or retired, of the Armed Forces of the Crown and the Commonwealth; also members of the Royal Corps of Naval Constructors, and officers and ratings of the RMAS and RFA Service; and civil servants who hold or have held appointments in the Naval Commands, or appointments with a naval connection across the UK Ministry of Defence and associated organisations; and officers and ratings, active or retired, of the Armed Forces of NATO nations with which the United Kingdom has strong military connections. The Editor can admit other persons in with demonstrable interest in the Royal Navy. For Subscription rates and Application Form see overleaf. 3 Garstons Road, Titchfield, FAREHAM, Hants, PO14 4EJ. (a) preferably by Direct Debiting Instruction on a UK bank account using the form overleaf. When completed, it should be sent with the enrolment form to the Secretary-Treasurer together with a cheque for the current year’s subscription or part-subscription. If a member joins towards the end of a year and the Direct Debiting Instruction is not received before 15 November it will be too late for it to take effect on 1 January following; in this case the cheque should also include the subscription due on 1 January after joining. (b) by cheque, money order or postal order sent to the Secretary-Treasurer. (c) (for overseas members particularly) by credit/debit card (Mastercard, Visa or UPI only). Such payments may be made by post (using the enrolment form), telephone or e-mail. The Naval Review’s bankers are The National Westminster Bank plc, South Kensington Station Branch (Sort Code 51-50-01), PO Box 592, 18 Cromwell Place, London, SW7 2LB (Account No. 00624675). The Trustees appeal to members (provided they pay UK Income Tax at the current standard rate on some part of their income) to help the finances of The Naval Review by signing and forwarding to the Secretary-Treasurer the Gift Aid Declaration attached. Any increase in the subscription, which is applicable to all members including those who sign a Gift Aid Declaration, is catered for in the Declaration, and there is no need to make a further declaration in the event of a change in subscription rate. Please note that Members who themselves claim tax relief on their subscription as a professional expense under Schedule E, Section 192 of the Corporation Taxes Act 1970 may not make a Gift Aid Declaration. The Naval Review’s Charity Registration No. is 214610.